Born: 1934 Jun 5 in LaCrosse, Wisconsin, USA. Qualifications: (1955) BS in physics from CalTech; (1957) graduated USAF jet pilot training; (1962) PhD in physics from CalTech. 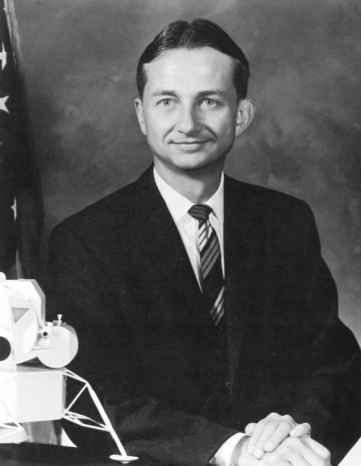 NASA career: (1965 Jun 28) selected as a NASA scientist-astronaut, Group 4; (1965— 1967) astronaut academic, simulator, and survival training programme; (1966—1969) worked on a number of CB technical assignments, including Apollo lunar surface experiments and Apollo Applications Program; (from 1968 Apr) spending eighty per cent of his time teaching at Rice University, Houston for one year; (1969 Aug 18) resigned from NASA due to too few opportunities to fly into space. Took a faculty position in the Space Physics and Astronomy Department of Rice University. Michel never flew into space.